Josh Twomey our countertop sales rep in Rapid City will be kicking off his referral program next week. Want to earn $50? 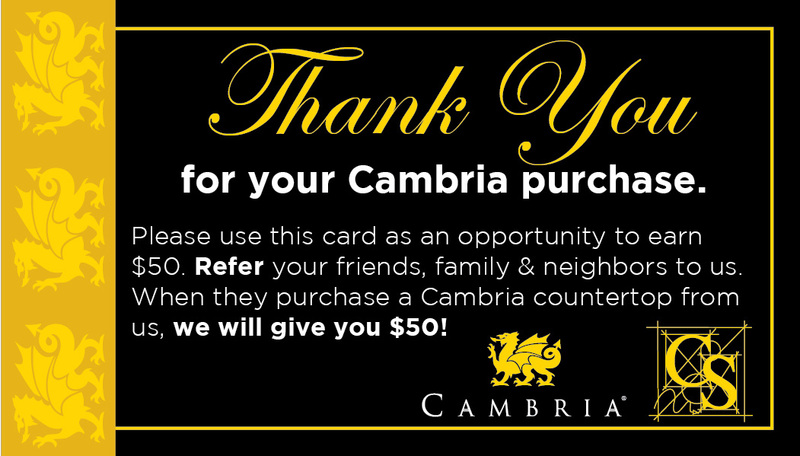 Put Cambria in your home! When you do, Josh will give you the opportunity to earn back $50. Contact Josh at 605.877.5285 or josht@creativesurfaces.com for more information.